Cheese and coffee aren't a traditional pairing, but these five kinds of cheese pair deliciously with coffee. 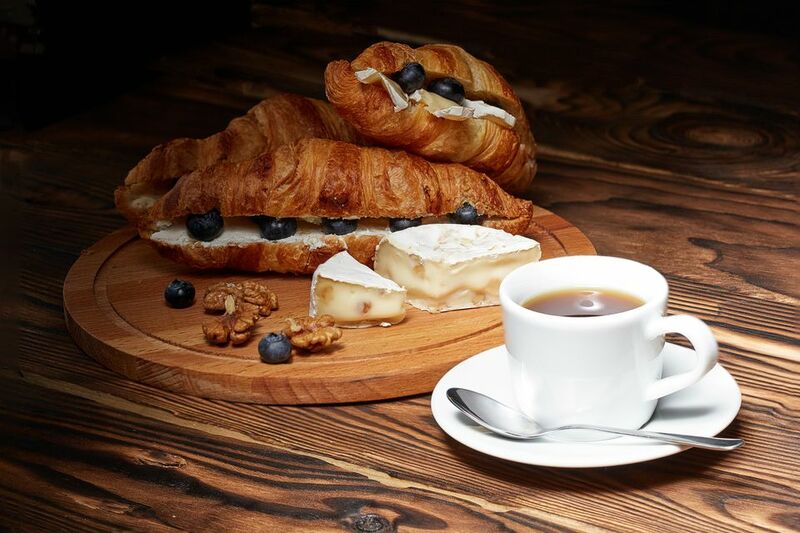 Cheese is the perfect protein-packed food for breakfast, so why not serve it with coffee? Or, serve a cheese course after dinner paired with coffee or espresso. What better cheese to pair with coffee than one that is coated in coffee grounds? 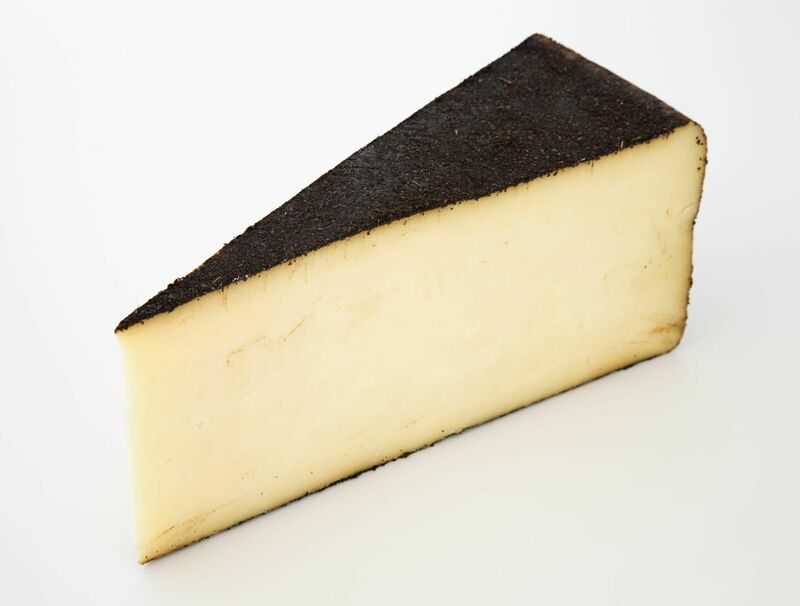 Barley Buzzed, made by Beehive Cheese Co., has a rind coated with coffee grounds and lavender. The lavender buds give off a faint floral flavor that is surprisingly tasty with the flavor of coffee and the cheddar-like cheese. The coffee covering the rind is ground into a fine velvety texture, making the rind completely and pleasantly edible. When pairing Gouda with coffee, the more aged the Gouda is, the better. Aged Gouda brings sweet, caramelized flavors that can stand up to and enhance the strongest cup of Joe. It's almost like pairing a sweet and salty caramel candy with coffee. Gouda ages anywhere from two months to five years. Visit your local cheese shop, and you're likely to find examples of Gouda at all different ages. Piave is an Italian cheese that tastes like a distant relative of Parmigiano-Reggiano. The flavor is nutty, slightly sweet and fruity. Aged for about a year, the texture is slightly softer and smoother than that of Parmigiano-Reggiano. High-quality ricotta with a slightly sweet flavor is like pairing a bowl of cream with coffee. Top the ricotta with honey or chocolate shavings, or spread ricotta and jam on toast, and it's like having coffee and dessert. The bite of a slightly sharp cheddar matches the pleasantly bitter bite of coffee and espresso. Cheddar can also have nutty characteristics that further enhance the pairing. Cheddar can be aged for a few months or for several years. The longer the cheese is aged, the more complex and intense the flavor becomes. Serving this sweet Norwegian cheese (pronounced yay-toast) with coffee is much like serving dessert with coffee; it's a natural pairing. The cheese is made by slowly cooking whey down until the milk sugars caramelize. Gjetost actually looks like a large square of caramel and tastes like one too. This semi-hard goat's milk cheese is flecked with fenugreek seeds that flavor the cheese with hints of butterscotch and maple. The sweet-salty combination of goat cheese and fenugreek is a surprisingly perfect combination. One bite of fenacho, and you'll be hooked. Fenugreek is a plant known for its slightly sweet seeds, which are used in spice blends and tea. Fenacho is made by Tumalo Farms in Oregon.